Trouble in the house of Louis Vuitton? It seems it may be so. Like a hot,sensual relationship where everything seems right at first & where lust can be found in every look, the marriage between Arnault’s empire and his sky-rocketing designer may be coming to a dénouement. Heresy you say? Well, let’s take a quick stroll through some facts, shall we, before one ties me to a stake and roasts me more than Whitney Houston in a candid interview. 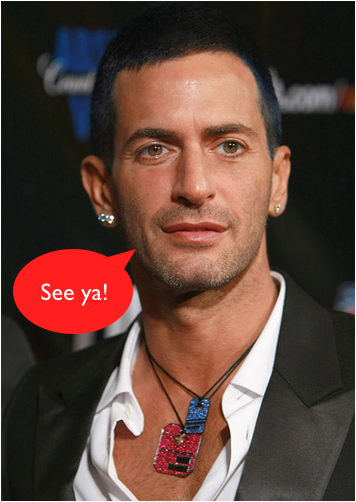 Marc Jacobs is a genius that has brought wealth and notoriety for over 10+ years to a then-burgeoning Louis Vuitton. His Bleeker Street to rue St. Faubourg-Honoré touch launched a once-limited, staunchy malleterie business into the eyes of fashion critics as a high-end Prêt-à-Porter power-fashion-house which has never looked back since. 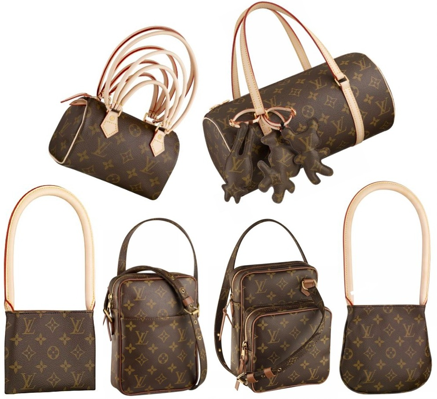 From handbags, to clothing, to marroquineries (leather-goods for my not-so-French-savvy readers), Louis Vuitton has cornered every piece of the market, leaving nearly no Feng-shui-ed stone unturned. Collaborations, collaborations, collaborations. Marc Jacobs + Louis Vuitton + Artist X = success. As if his own creative genius were not enough to compliment the fashion houses’ exceptionally long tradition in fine luxury goods, MJ has sought from time to time the artiste from without. The result has always equated into instant success and the near symphonic ringing of cash registers across all of LV’s many global-reaching boutiques. From Stephen Sprouse, to Takashi Murakami, to Richard Prince, Marc Jacobs has chosen his partners in crime and has walked away with the bank vault. So after all the exhuberance from such wonderful success, why in God’s green earth would one ever conceive the title of this article? Well, as any fashion-snob in the industry will tell you, one leaves the cocktail party on a high note. And the height of fashion for Louis Vuitton is upon us. But of course, that statement alone is not enough to say that this is the end for MJ. No, on the contrary, there’s much more that points to the final chapter of the Louis Vuitton-Marc Jacobs success story. Even Marc Jacobs knows deep inside of himself that his own creative talents are being stifled by the constant requirements to meet deadlines that Bernard Arnault and the other folks above him expect him to accomplish. This just isn’t the best environment for creative liberty, rather, it’s a good place to at least refine one’s artistic talent. Beyond the fact that MJ doesn’t appreciate Neuilly-resident, HEC-educated Louis Vuitton marketers telling him what should “sell”, more importantly, he didn’t like the fact that it was done without any of his creative fingerprints on the drawing board. To MJ, if he’s not involved at every step in building Louis Vuitton’s image as a respectable maison de mode then he’s simply wasting his time and talent. And that, my readers, is more valuable to MJ than all the perks Arnault could ever throw at him. Oh, and look for Brazilian Amazonian and Carmen Miranda inspired prints this upcoming Paris Fashion Week as a sign of MJ’s soon-to-be announced departure. This entry was posted in handbag, louis vuitton, marc jacobs, rumors, takashi murakami and tagged bernard arnault, collaboration, departure, designer, fired, Lorenzo, louis vuitton, marc jacobs, separation, yves carcelle. Bookmark the permalink. Women everywhere know Marc Jabobs shoes are in a league of their own with their quality craftmanship, sophisticated lines, and elegant details.